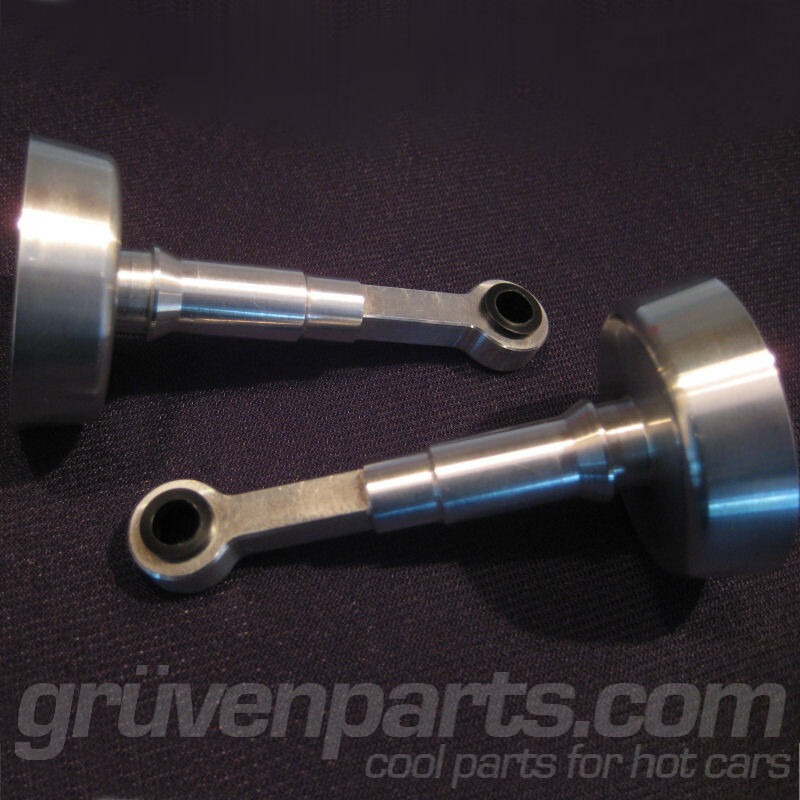 "GruvenParts.com is happy to release these long awaited billet intake linkage arms for the Audi A4 and A6 with 3.0L V6 engines! Audi 3.0L V6 Billet Intake Linkage Arms ! These billet linkage arms come two to a set – enough for 1 vehicle and will replace the plastic ones on the 2002-2006 A4 and 1999-2004 A6 with the 3.0L 30V V6 engine with rotary drive unit part number 06C-133-611 (06C133611) installed onto intake manifold part number 06C-133-201J (06C133201J). Just like our popular Audi/VW 4.2L V8 linkage arms, these billet 3.0L V6 intake arms are Guaranteed for Life ! The OEM plastic linkage arms on these engines quickly fail due to heat and contaminants leaving your intake manifold stuck. This causes poor idle, poor drivability, loss of power, check engine lights, and poor fuel mileage. It’s a very common problem on the Audi 3.0L 30V V6 engine, an otherwise great engine. The dealer will only sell you a new actuator assembly for nearly $500 - A hefty price to pay for more weak plastic that will again break in short order. Our Billet intake manifold arms are made from Aerospace grade 6061-T651 Aluminum with specially machined Dupont Delrin inserts to provide a perfect fit to the actuator *****. Go with the billet GruvenParts.com linkages with the Lifetime Guarantee, save $400 over the inferior dealer plastic versions, and NEVER WORRY ABOUT THIS PROBLEM AGAIN. Replaces plastic links on found OEM P/N 06C-133-611 (06C133611) drive unit w/rotary valve, which is installed onto 06C-133-201J (06C133201J) intake manifold. Please note : You will need to disassemble your actuators to install these metal arms. Carefully pry the actuator apart (it is a snap fit). Remove the rubber bellow, and swap in our billet aluminum links. Carefully snap your actuator back together and reinstall on the manifold. 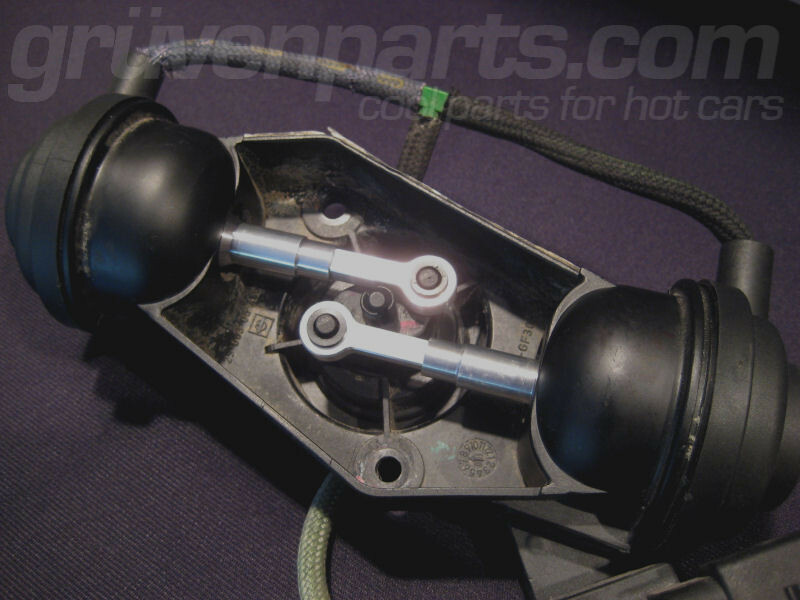 SPC 81350 Audi B5, B6, B7, C5, and VW B5 Adjustable Front Control Arms! As many of you have found out, when lowering your suspension, camber and toe become misaligned which leads to expensive tire wear and poor handling. Since the OEM has made no provisions for lowering the vehicle, there is no adjustment that can be made to bring the wheels back into alignment on a lowered vehicle. SPC has released this Set of 4 adjustable front upper control arms which will allow +/- 1.5 degrees Camber and/or Caster change for these vehicles. These arms directly replace factory fixed-length arms, allowing easy adjustments after installation. Engineered for both street and track use, forged 6061-T6 aluminum ends with large 18mm threaded adjuster links assure this is the strongest kit available. Maintenance free ball joints and bushings provide factory ride, handling, and NVH performance. 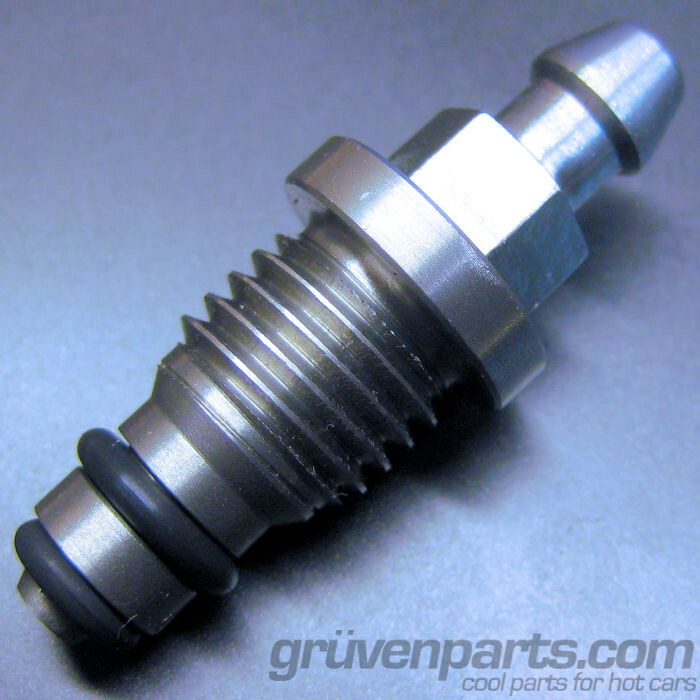 GruvenParts.com Introduces Stainless Bleeder Screws for Audi A4/S4, A6/S6, VW Passat and Porsche Boxster! Our 303 Aircraft Grade Stainless Steel Bleeder Screw replaces the plastic bleeder screw which Audi and VW provide on their clutch slave cylinder P/N 8E0-721-257F (8E0721257F), 8E0-721-257M (8E0721257M), 8E0-721-257A (8E0721257A), and 8E0-721-257B (8E0721257B). How many times have you gone to bleed the brakes on your Audi, Passat or Boxster only to round off the hex on the cheap plastic bleeder screw on your clutch slave cylinder? The problem is corrosive brake fluid actually melts the plastic bleeder screw and bonds it into the slave cylinder housing making it impossible to open. This problem makes it impossible to bleed your brakes properly and causes soft brake and clutch pedals. The only remedy until now has been to replace the entire slave cylinder unit, which is expensive, time consuming, and NOT FUN (to say the least!). GruvenParts.com has addressed this problem with our new 303 Aircraft Grade Stainless Steel Bleeder Screws. We machine these in house on state of the art HAAS CNC lathes and mills with custom screw machining capability to exactly match the OEM threads for a perfect fit. These come complete with preinstalled Viton O-rings for maximum life. The hex will never round off or become stuck in the slave cylinder body and you likely will never need to replace a slave cylinder again. This 303 Aircraft Grade Stainless Steel Bleeder Screw replaces the plastic bleeder screw found in clutch slave cylinders P/N P/N 8E0-721-257F (8E0721257F), 8E0-721-257M (8E0721257M), 8E0-721-257A (8E0721257A), and 8E0-721-257B (8E0721257B). Porsche Boxster 1997 thru 2004"
In Stock, Ready to Ship ! !